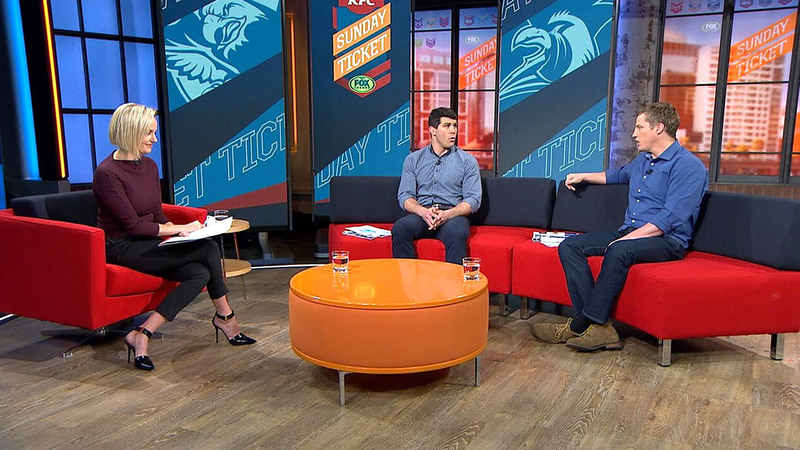 The Churchill Studio (Studio A) update for Fox Sports Australia debuted in 2017, replacing a look from 2014. 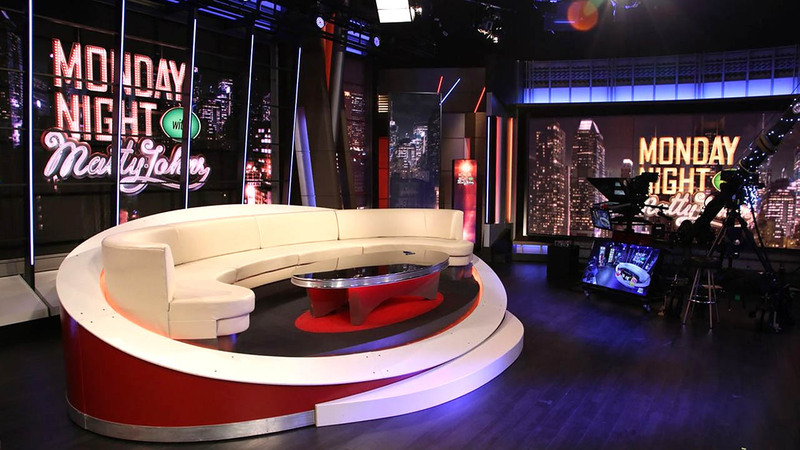 Used for over 10 programs on the network, this flagship studio is the largest of the network’s spaces, which also includes Studio B and an off-site studio for Fox Sports News Australia. 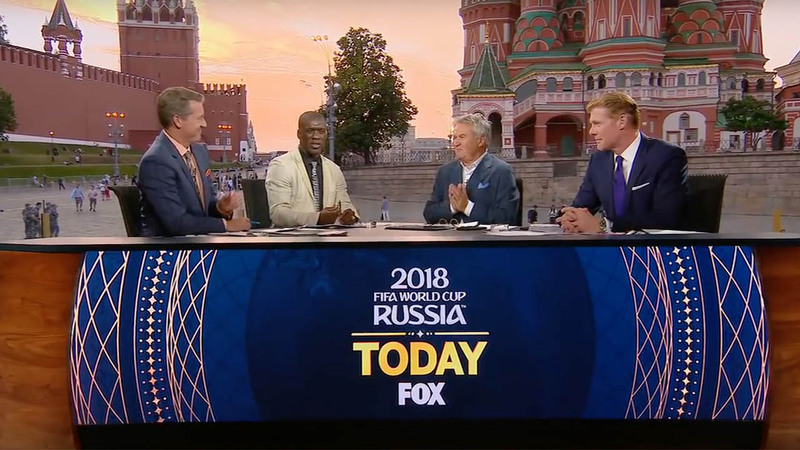 Backpage: A large debate-style desk with flexible seating configurations backed with a large video wall and flanked with LED towers. 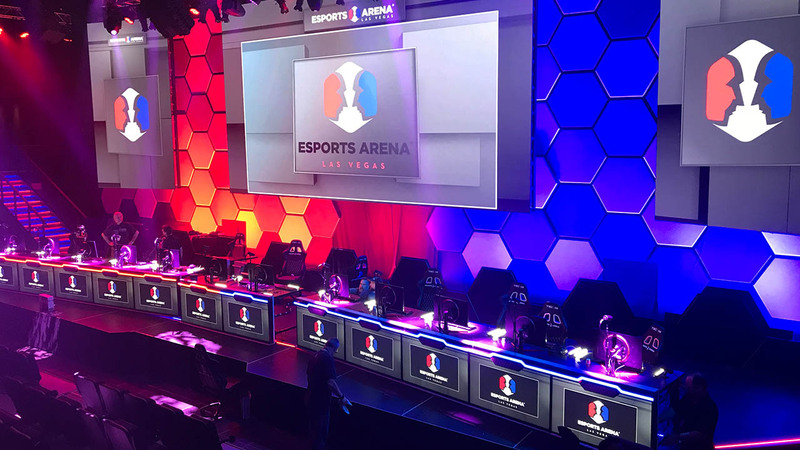 The look is accented with thin lighting frames and textured header. 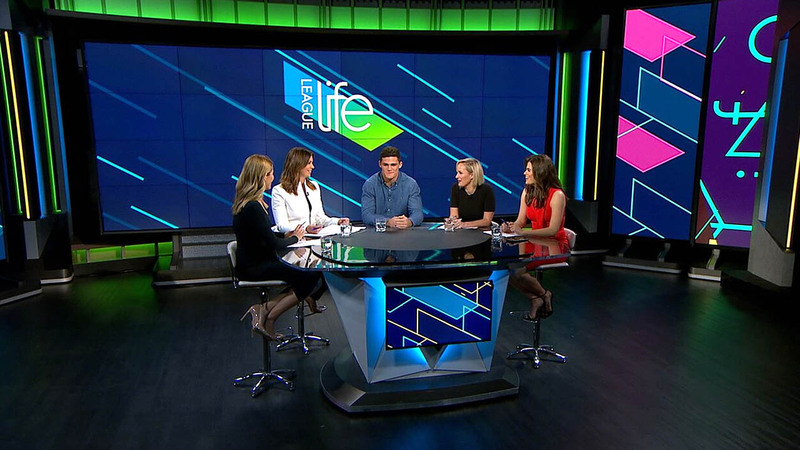 Friday Night Footy: A weekly talkback and panel interview show, “Friday Night Footy” includes more color through the use of team branding. 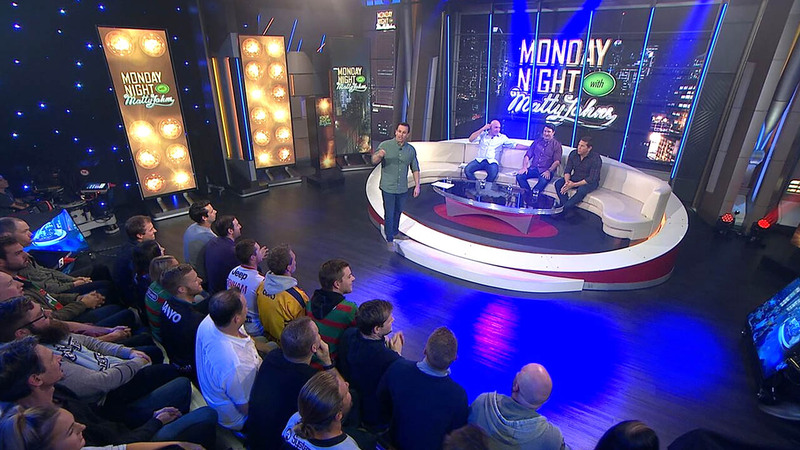 The show uses the large mobile monitor wall with architecturally framed windows. 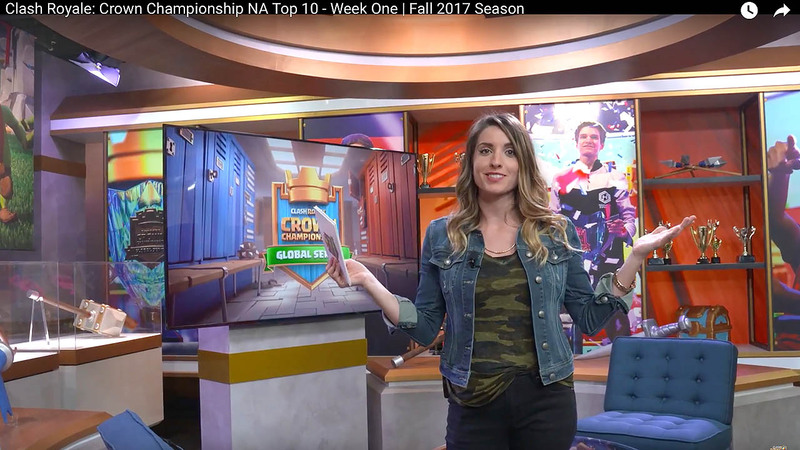 League Life: The studio’s large video wall is fed with lively, colorful graphics, as are mobile video wall towers moved into place on either side of the smaller, more discussion-style desk. 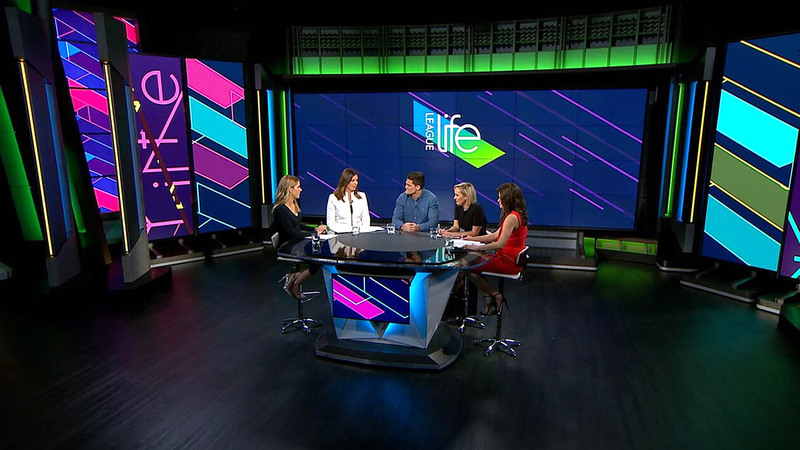 The scenery’s color changing elements are changed to match the motion graphics package. 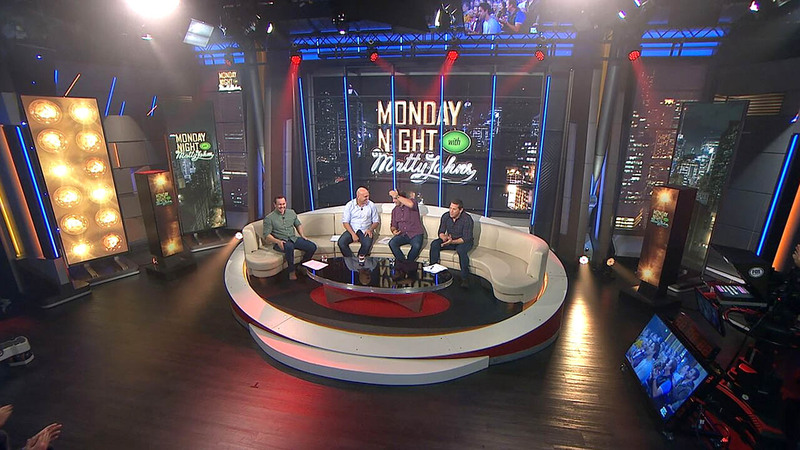 Monday Night with Matty Johns: In this relaex setup, a large oval unit with curved couch is placed in front of the window-like structure. 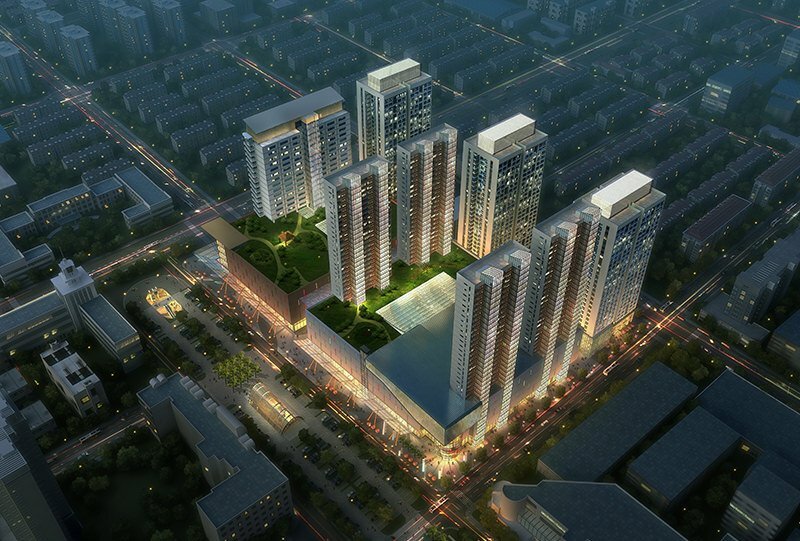 Video towers help fill in the side walls, which the look takes full advantage of color changing units. 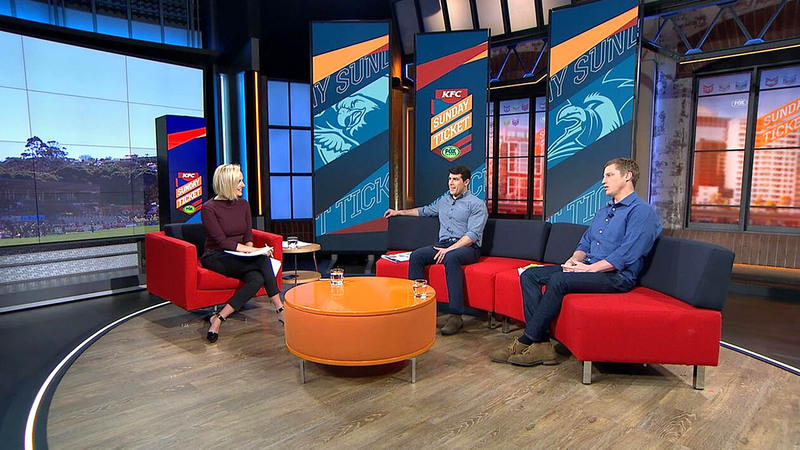 Sunday Ticket: A less formal discussion style setup with riser and chairs and ottomans positioned to use both a set of arched, industrial style windows with girders and backlit header elements as well as a set of staggered video towers and a mobile standup monitor. 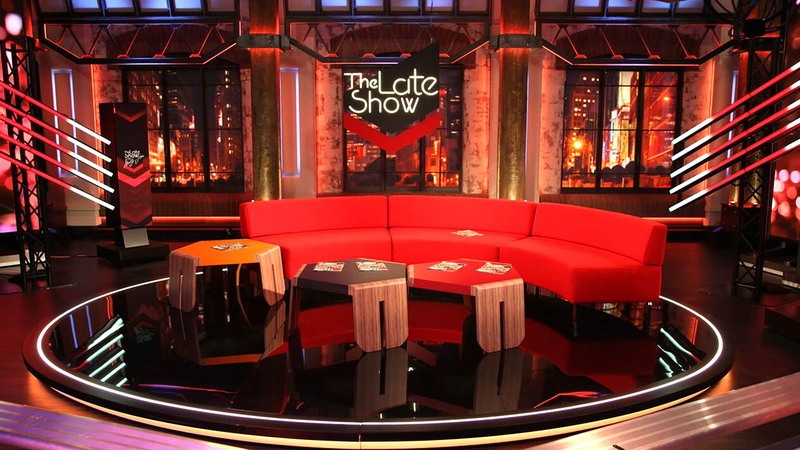 The Late Show: A curved red sofa is placed in front of the bank of faux windows, which are given a unique look thanks to both LED technology and strategic lighting design. 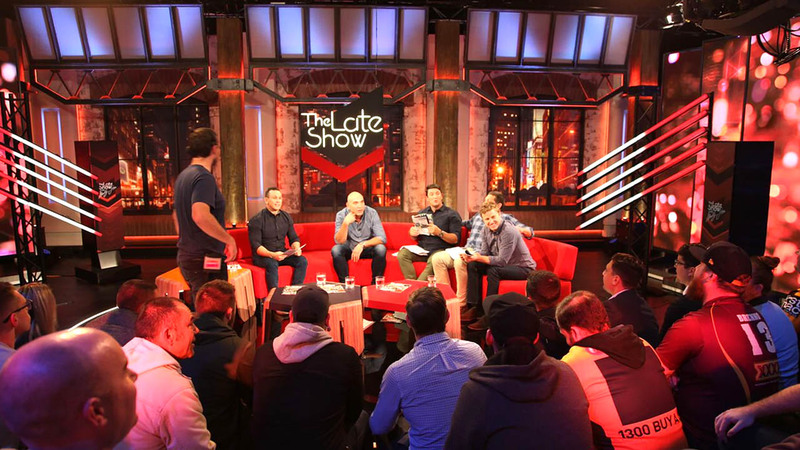 Described as playful and fun, this show help’s kickoff the weekend early with jokes and a good time. 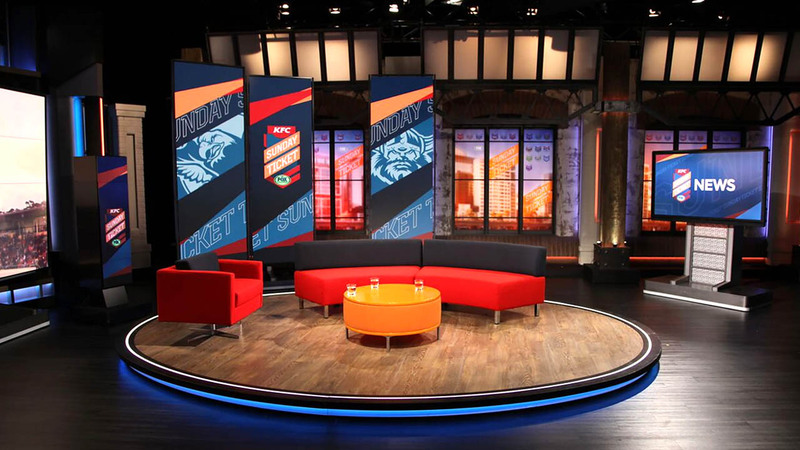 Other elements include angled LED ribbon units and video towers as well as a studio audience. 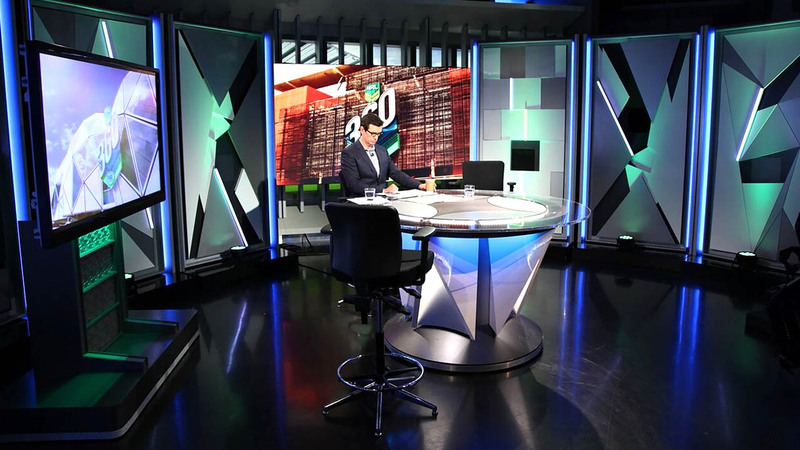 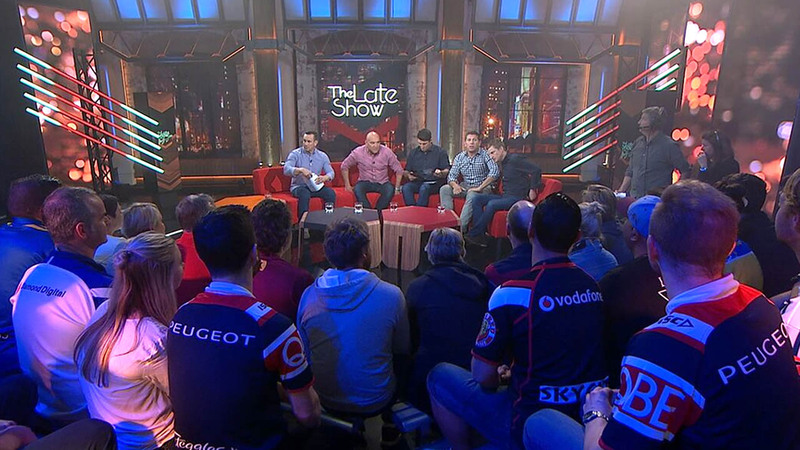 Studio B for Fox Sports Australia is the smaller of the network’s two primary studios. 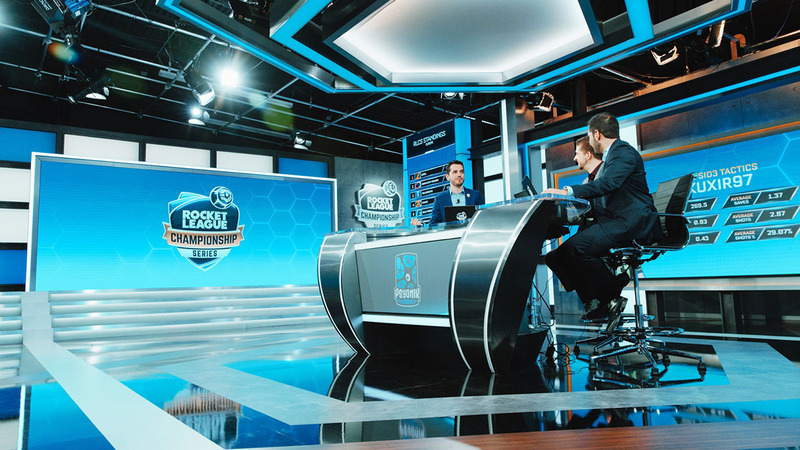 It serves a variety of programming, including “AFL 360” and “NRL 360.”The studio’s design includes multiple moveable panels for enhanced flexibility, typically shooting with four locked-down cameras and a Steadicam.